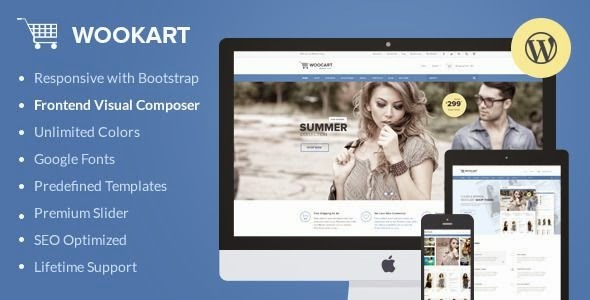 WooKart is a powerful responsive WooCommerce Shop premium WordPress theme, built on the Bootstrap 3 Framework, jam-packed with features. This WordPress Theme is SEO optimized and it follows the latest trends and best practices in onsite optimization. The theme is very powerful yet easy to use and customize, whether you’re a WordPress pro or a beginner with no coding skills and comes with an extended documentation, ready to use page layouts and examples, HD video tutorials, PSD designs and much more. Item Reviewed: Powerful and Responsive Multipurpose WooCommerce Shop Theme 9 out of 10 based on 10 ratings. 9 user reviews.